Like a little buzz in your protein balls? Then try these Mocha Madness chocy espresso that will explode with flavour in your mouth. 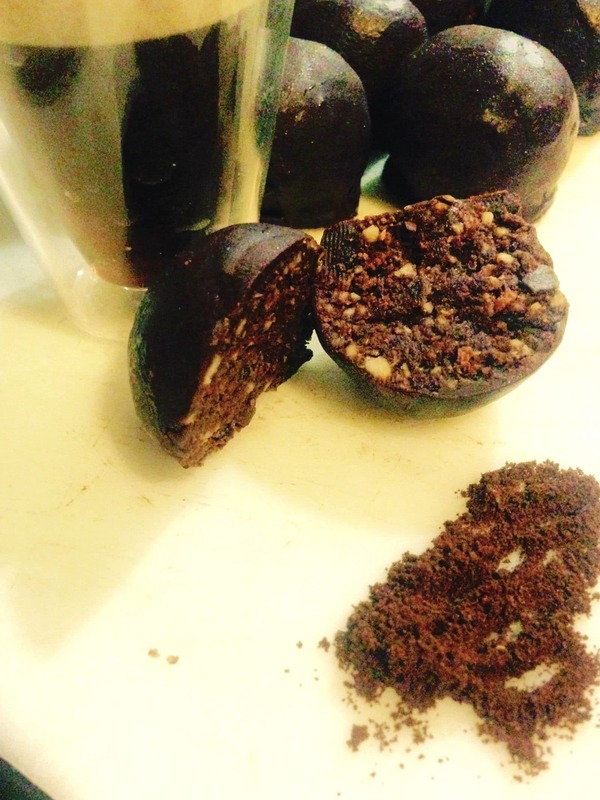 These protein balls are gluten free, dairy free and guilt free- a wonderful healthy pick me up to manage 3.30itis. You can use either instant or ground coffee beans or try a short black shot instead. 4 Fill a saucepan 1/4 of the way with water and bring to a boil over medium high heat. Reduce to simmer.Then set a medium glass or ceramic mixing bowl on top, making sure it’s not touching the water (this creates a “double boiler”). 5 Add finely chopped cocoa butter to the bowl and let melt – 2-3 minutes. 6 Once melted, add the maple syrup or agave nectar and use a whisk or wooden spoon to mix until fluid and thoroughly combined. Remove bowl from the saucepan and turn off the heat. 7 Add cacao, vanilla (optional), and sea salt (optional), and whisk to combine until there are no clumps.